NOTE : THIS IS BEING PUBLISHED WITH THE PERMISSION OF FACEBOOK UNDER THE RESPONSIBLE DISCLOSURE POLICY. THE BUG IS FIXED NOW. Sessions Were Not Properly Terminated Under Security And Login : ABOUT THE FEATURE : You can manage where you’re logged into Facebook in Security and Login Settings. The Where You’re Logged In section lists where you’re currently logged in. Each entry includes a date, time, location and device type. To log out of Facebook on another computer, phone or tablet: Go to your Security and Login SettingsClick Where You're Logged InFind the session you want to end and click End Activity Clicking End Activity will immediately log you out of Facebook on that device. ABOUT THE BUG : If the Messenger Lite Android Application is already running while logging out for it's session via Security and Login Settings then application is required to restart, then only session will be expired or else still messages can be sent and receive. ABOUT THE FEATURE : Let's say somehow a malicious actor got an access to your account using phising or social engineering and posted, reacted, commented and performed so on activities on behalf of you. ABOUT THE BUG : While going through the checkpoints, one checkpoint comes to check any recent activity to delete which user don't want on Facebook. So even after confirming particular activities to get deleted by user it was still present on Facebook (obviously user was unaware of it that activity is not deleted). 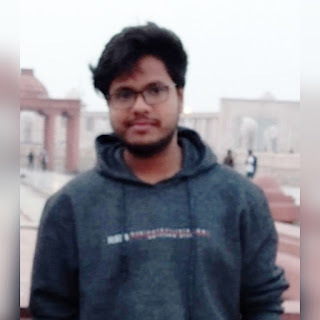 Aryan is currently 20 Yrs old undergraduate student pursuing his Bachelor's of Technology (B.Tech) in Computer Science and Engineering from Dr. A.P.J. Abdul Kalam Technical University Lucknow Uttar Pradesh India. He is a passionate learner and a Web Application Penetration Testing enthusiast. Beside this he is so foodie and fond of singing and inculcating new interests. He believes in building his own dreams rather than hired by someone else to build theirs'.